Unbeaten Light Middleweight prospect Paul Upton will be back in action on next month, when he features on the undercard of TRAD TKO Gym mate Freddie Turner’s challenge for the British Masters Gold title, against Chris Jenkinson, at the Cresset in Peterborough on Saturday 8th March 2014. 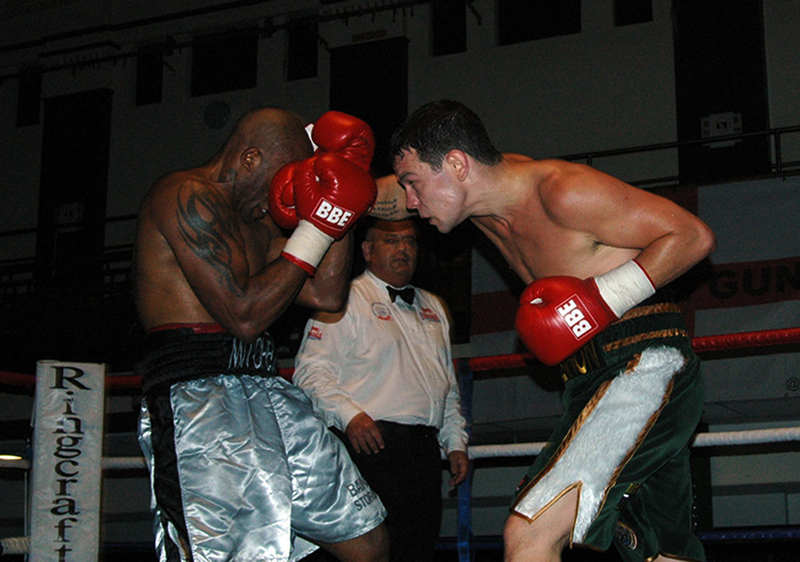 Paul, whowill be making his third professional outing on March 8th, certainly made an impact on his pro debut, beating the highly experienced Dee Mitchell by a shut out points decision, back in July. The supremely talented youngster, boxed beautifully, simply enthralling the York Hall faithful as he showcased the exceptional skills, that had earned him numerous National and International accolades as an amateur. On his second outing in October, Paul put in another truly scintillating performance to secure a shut out points victory, this time over Norwich’s Duane Green. To give an idea of just how dominating young Paul’s performance was, the only modicum of success for Duane Green came in the final stanza, when he landed a solid right hook, other than that it was Paulie all the way. Considering the glowing plaudits he has been receiving for these superb performances, young Paul’s feet surprisingly remain firmly on the ground, as was made clear when the personable youngster spoke earlier. “Really looking forward to fighting again on March 8th, yeah, this’ll be my first fight of the New Year, so really looking forward to it. Had a tough fight for my debut, but got a nice win and then I was more relaxed in my second fight and got the job done and got a good points victory. A lot of people afterwards said how impressed they were with my performance, which was good, so got to keep pleasing the crowd really. Training’s going good, my weight’s perfect, sparring now for the next few weeks and then the last week I’ll just tick over. Don’t know who I’ll be fighting on March 8th yet, but expect whoever it is to be a good tough test, Johnny (manager Johnny Eames) will make sure of that. I want to say thanks to Dave (Hill) from Ringside Boxing for the equipment, big thanks to the Wright Car Company for their sponsorship. 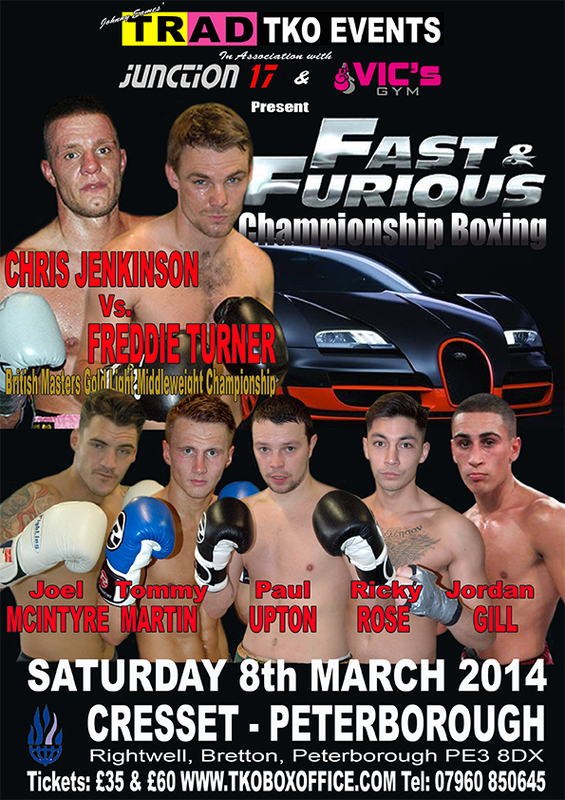 Paul Upton, against a yet to be named opponent, features on the undercard of Freddie Turner versus Chris Jenkinson, for the British Masters Gold Light Middleweight title, that headlines the TRAD TKO Events, in association with Junction 17 Cars and Vic’s Gym, FAST & FURIOUS event at the Cresset in Peterborough on Saturday March 8th.